Lisa Deshaies has been an occupational therapist for over 25 years, with extensive clinical experience in both inpatient and outpatient physical disabilities rehabilitation at the world-renowned Rancho Los Amigos National Rehabilitation Center. She received her BS degree in Occupational Therapy from the University of New Hampshire and headed to California to practice as an occupational therapist. She specializes in upper extremity arthritis, burns, amputations, prosthetics, fractures and other surgical or traumatic conditions. She obtained her credential as a Certified Hand Therapist in 1995. 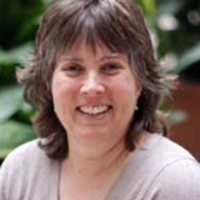 Lisa has authored chapters in four occupational therapy and hand therapy textbooks. She has presented over 50 sessions on hand-related and occupational therapy-related topics at the local, state, and national levels. Lisa is particularly interested in, and passionate about, the infusion of client-centered and occupation-based practice into the otherwise dominant medical model of upper extremity rehabilitation. Deshaies, L. D. (2002). Upper extremity orthoses. In C. A. Trombly & M. V. Radomski (Eds. ), Occupational therapy for physical dysfunction (5th ed.). Philadelphia, PA: Lippincott Williams & Wilkins. The purpose of this article is to illustrate with a case study the process through which a patient with polymyositis taking part in an occupational therapy program achieved functional improvement in spite of persistent muscle weakness. Although the focus is on the occupational therapy program, close monitoring of patient improvement or regression by the total rehabilitation team was essential in order to adjust the patient's weekly activity level for maximum benefit.